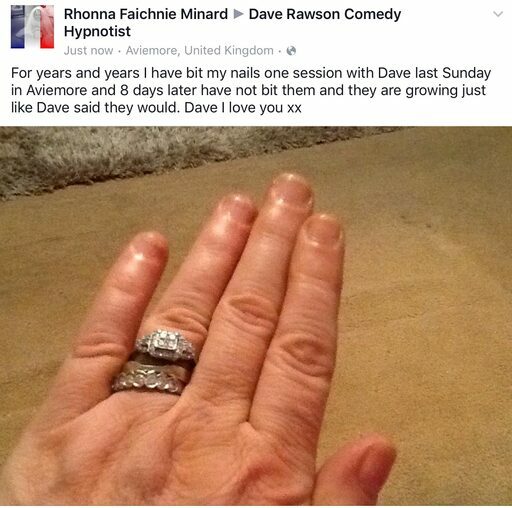 A couple of months ago I helped a lady who suffered really badly with Eczema of her hands. 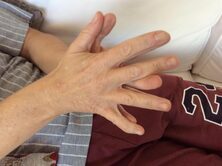 After working with her through hypnotherapy her hands are finally normal. I worked with this lady who had a stroke 5 years previously. I managed through hypnosis to straighten her foot which had been at an angle of 90 degrees. I also managed to open her claw hand and keep it open. I have now given her instructions to work on both using her powerful subconscious mind and physiotherapy. She brought a DR along with her as a Chaperone but never told me she was a DR till after I had done the treatment. 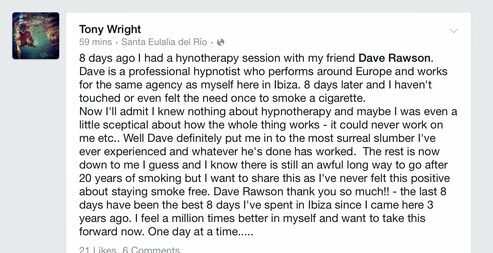 The DR was very impressed with my treatment using hypnotherapy having never seen it done before. I bought your CD and already reaping the benefits. Hi Dave my OCD has got so much better, if I do it it's just out of habit and I don't feel anxious or worried. I now realise how bad I was from every day getting showered, things at home and going shopping. I also handle situations differently, so thank you so much for making me feel a normal healthy human being and not wasting the rest of my lifelike\I did. I wish I had met you all those years ago. Thanks again Dave for what you did. "Hi Dave, My OCD has got so much better. I don't feel anxious or worried. I now realise how bad I was from getting showered, things in home and going shopping. I also handle situations differently, so thank you very much for making me feel like a normal human being and not wasting the rest of my life like I did. I wish I had met you years ago. So thanks again Dave for what you did. 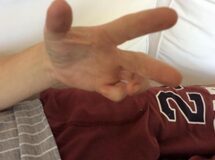 I'm clearing away as I go, also it used to take me a lot longer because of the OCD as it played such a big part of my every day life"
12 years I have suffered with chronic visceral pain syndrome. So many painkillers, even oramorph not being able to get out of bed for days, so many operations and a lot of time off work and not being able to be a proper mum to my kids. 20 minutes is all it took Dave to change my life. seriously first time I woke this morning no pain. 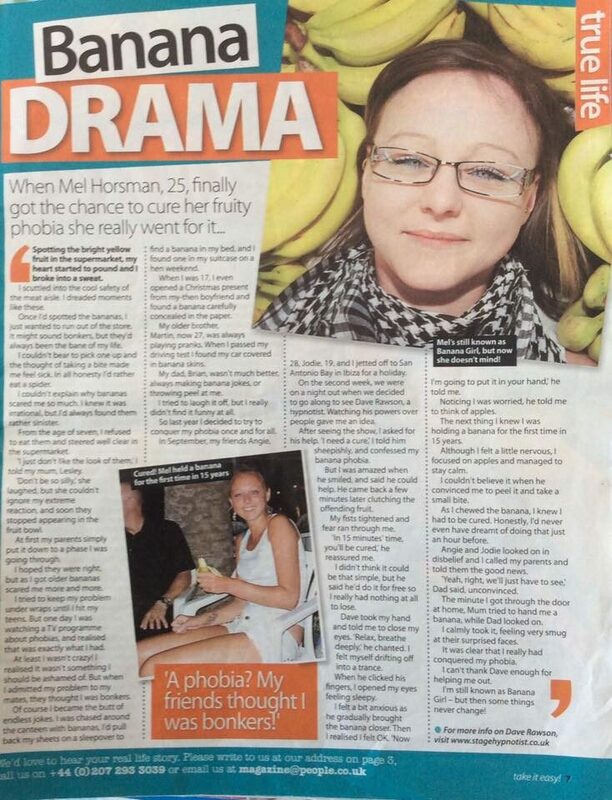 I was on your show at San Miguel Hotel Ibiza and asked for help with my fear of flying. There was a problem with the plane before we took off. I had no concerns at all really and enjoyed the flight and watched the landing. I cannot thank you enough amazing. 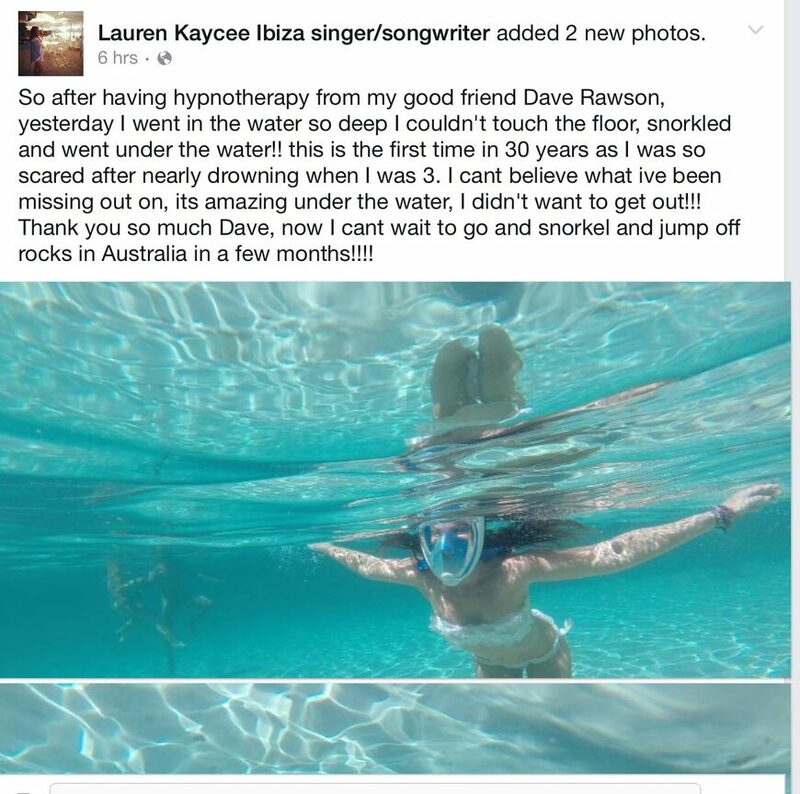 "Can't recommend highly enough, the HYPNOTHERAPIST - Dave Rawson, having been told of his skills, by some friends who suggested that I go to him for help. I was skeptical a first but also slightly desperate with the situation I found myself in at the time, so was therefore willing to try anything to help solve my particular problem. I suffering from extreme anxiety. The stress & pressure I'd put myself under daily, was unbearable & literally effecting my ability to function, particularly within the work arena. 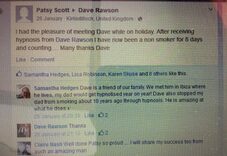 But Dave helped to calm my mind to the point where I could re-focus, rethink and move forward with my life. He did more for me in one session than many of the other forms of therapy I've tried in the past, and it really, really works."